Half of all votes against climate and energy decisions in the European Parliament come from right-wing parties and that number is set to grow as they are expected to score high at the next European elections, according to a study presented in Brussels on Wednesday (27 February). To prevent climate change denial from spreading, European policymakers need to move beyond a technocratic approach and bring the social fairness issue at the climate political forefront, said the study, titled ‘Convenient Truths, Mapping climate agendas of right-wing populists parties in Europe’. “To counter climate and energy policies, right-wing parties use the prevailing social injustice feeling among the public opinion, as seen with the Brexit vote and the Yellow Vests in France. At the same time, they present climate action as an elitist issue and as putting pressure on low-income households,” Stella Schaller told a press conference in Brussels, adding that these frustrations must be taken into account and not rejected. She co-authored the study with Alexander Carius, the founder of Berlin-based think tank adelphi. Schaller is a project manager and Carius the managing director of adelphi. In the study, right-wing populism is being described as a political ideology that combines “right-wing” (“conservative or reactionary”) views and policies with populist rhetoric – a “political approach that strives to appeal to ordinary people who feel that their concerns are disregarded by established elite groups”. The researchers analysed the voting behaviour of the 21 right-wing parties in the EU on climate and energy policy issues. “Seven out of the 21 right-wing populist parties deny climate change, its anthropogenic nature and its negative consequences,” explained Stella Schaller. Despite the already perceptible impact of climate change on people’s everyday lives, these parties do not refer to the vulnerability of their own territory, economy, and society to climate change impacts, Schaller said, adding that the links between extreme weather events and climate change are mostly absent from their programmes and statements. She recalled that the 2018 heat wave and prolonged drought period served as a climate wake-up call: Ravaging forest fires in Sweden, Greece, and Portugal; crop failures in Scandinavia, Scotland, Ireland, the Baltics, the Netherlands and Germany; suffocating fish in the Rhine river and spread of Lyme disease-carrying ticks. Carius said he fears that democratic parties may also use the same arguments that the right-wing parties when it comes to climate change. “This means there will be a shift to the right in Europe as it has already been the case with the migration debate,” he warned, underlining that the future of European climate and energy policy is decided in the democratic centre and not on the right. Therefore, the kind of political debate must change, he continued. “Climate policy lacks a positive narrative. At present, alarming warnings, horror scenarios, and difficult-to-reach CO2 budgets are dominating the debate,” he said. “This type of communication offers much political leeway for right-wing parties,” he added, stressing that parties like Alternative for Germany (AfD) are extremely strong and extremely professional in their communication strategy. Commenting on the AfD’s social media activity, he said the entire discourse on migration that took place during 2015 and 2016 is now moving towards climate change and its denial. After the election, groundbreaking decisions will be made in the EU, Carius stressed, citing the EU’s 2021-27 budget, which must be decided in the same way as the Common Agricultural Policy (CAP) after 2020. Both will determine how much money the EU intends to spend on climate action in the future. As it is, the Commission’s budget wants that every fourth euro to go towards financing measures against global warming, from 2021 onwards. “Such plans will be harder to enforce should right-wing populists gained more votes,” he said. Right-wing populists are already part of seven government coalitions in an EU member state and 16 hold seats in the European Parliament. Because the member states are directly involved in EU legislation through the Council of Ministers, the influence of right-wing populists on climate and energy policy is de facto growing, he said. Right wing nuts jobs can deny climate change all they want. But climate change will impact them – denial or not. 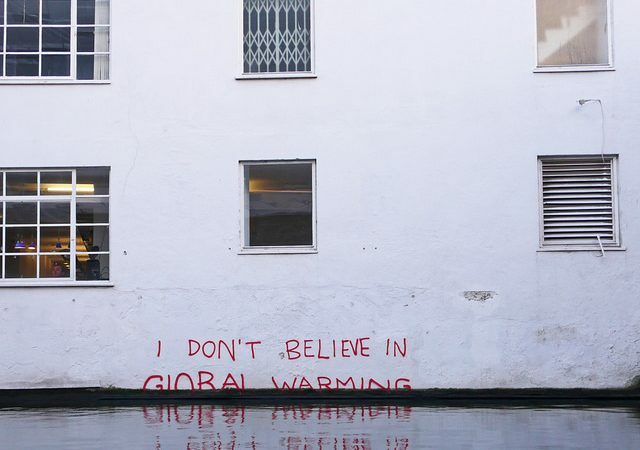 Neither is “climate change” a “belief system” – it is science. Thus those that seek elected office need to demonstrate mental fitness for the job. Denying that man-made climate change exists demonstrates an un-fitness for the job (of politician) and arguably makes the case for incarceration in a mental institution. Taking the above approach would focus minds and cut the crap which the right wing nut jobs seem very happy to spount. The EU public deserve better.